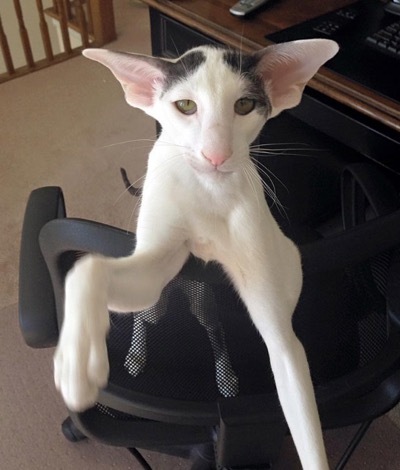 Meet Teddy aka Dobby Cat! 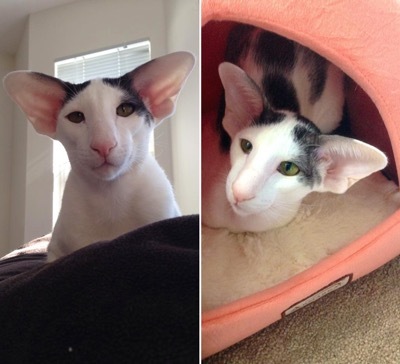 As soon as you take a look at those ears, it’s easy to see why Teddy is likened to Harry Potter’s favourite elf Dobby. 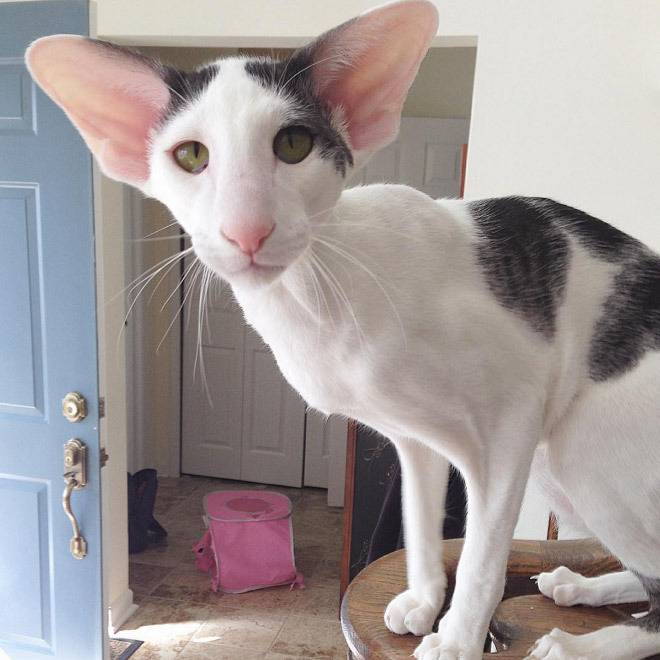 It comes as no surprise that this majestic Oriental Shorthair from New Jersey has become an internet sensation, with his narrow face, which is very typical of this breed of cat, and ears that look like they are about to take flight! 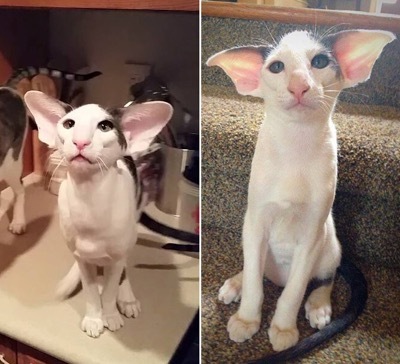 “I took a picture of him, and somebody picked it up from Reddit and it got like a million hits,” says Christine Gonzalez, who adopted the Teddy last year. 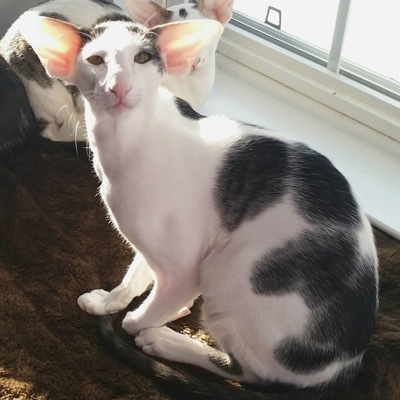 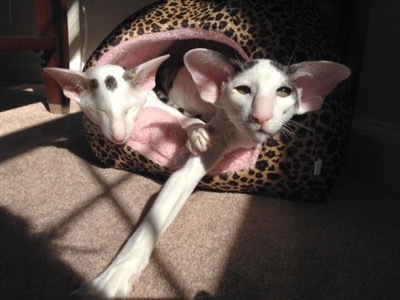 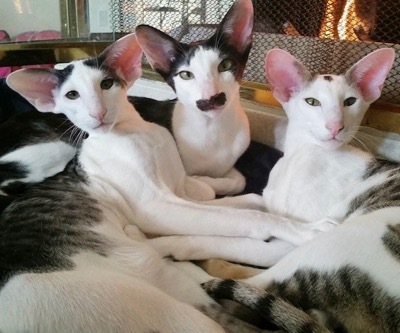 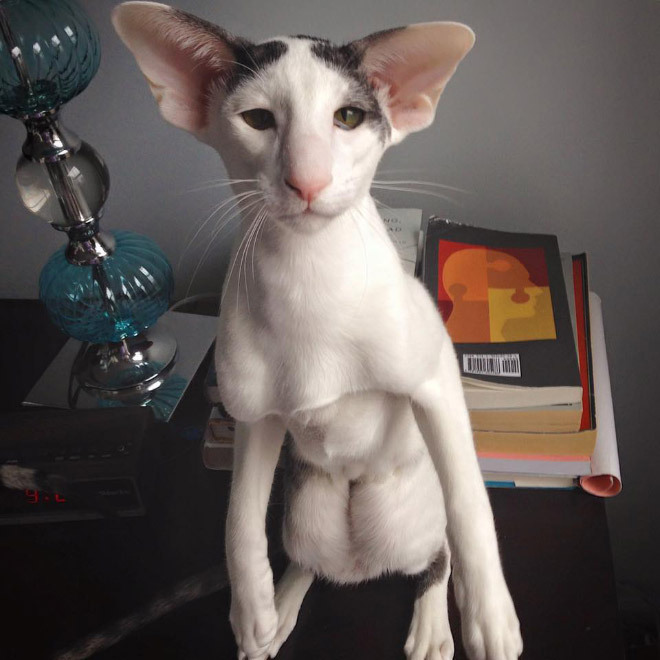 “As a kitten, he looked like an alien with those ears – I’ve never seen anything like it.” But she just knew Teddy was amazing, and he came to live with her and her other two Oriental Shorthairs, Bindi and Stache. 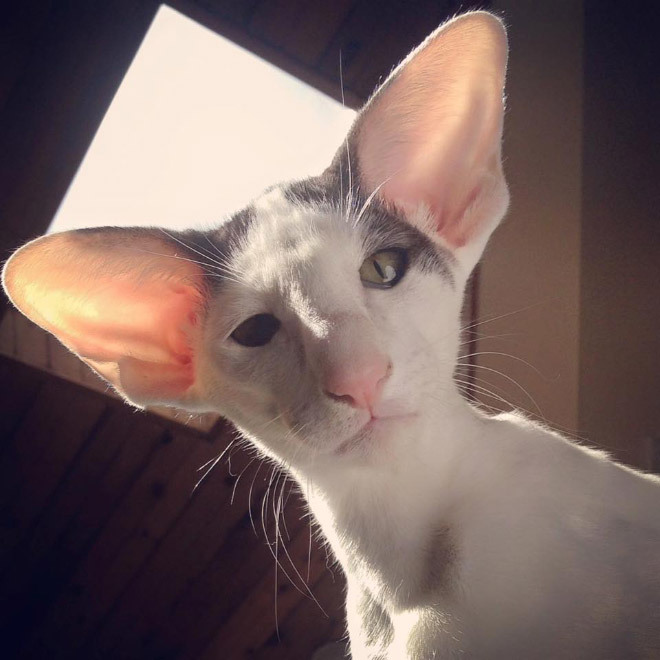 Whether Teddy is an actual alien or a fictitious character from Harry Potter, we don’t really care, because we think he’s amazing!